I recently taught a micro-lesson on setting up a simple bullet journal to a group of adults at Bath Spa University. 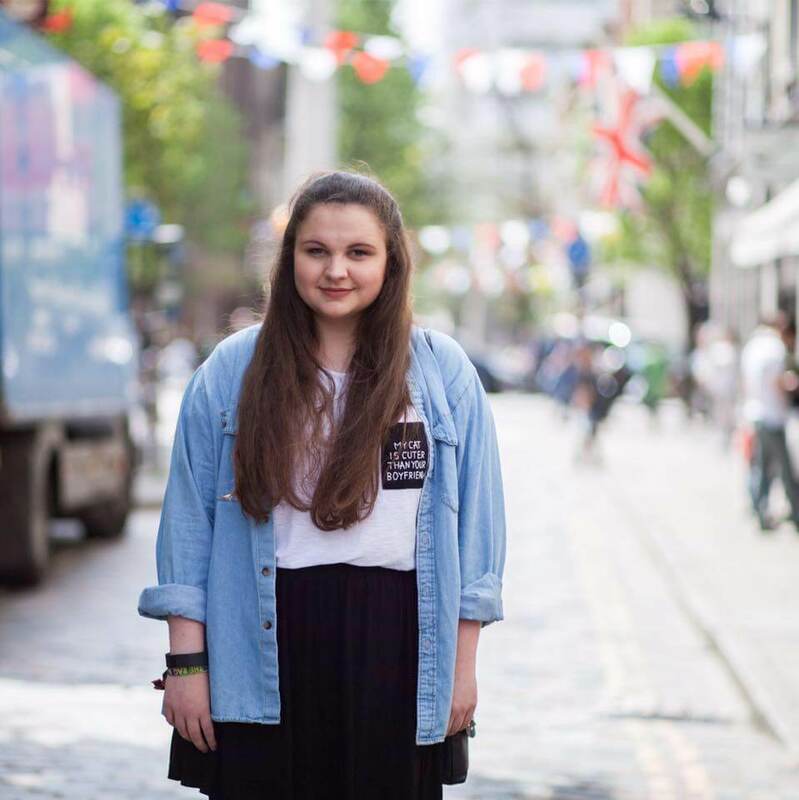 The aim was to show that this system for staying organised can be utilised by anyone and everyone. It is as simple or as complicated as you make it. The key point of interest being that its super affordable and flexible to suit all planning needs. 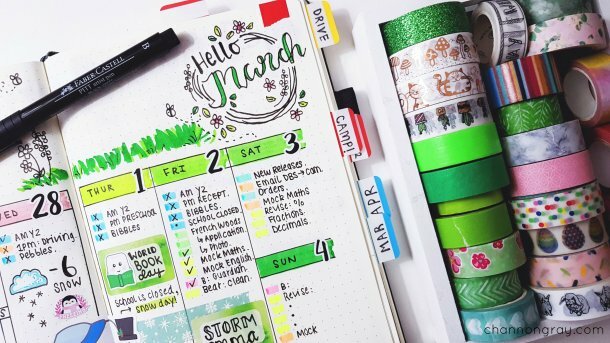 All you need to bullet journal is a pen, a notebook and a ruler, ideally. I use the A5 Leuchtturm 1975 in Black with dotted pages and the Faber-Castell PITT Artist pens in Black: Small, Fine, Medium and Brush. Being creative is my thing. 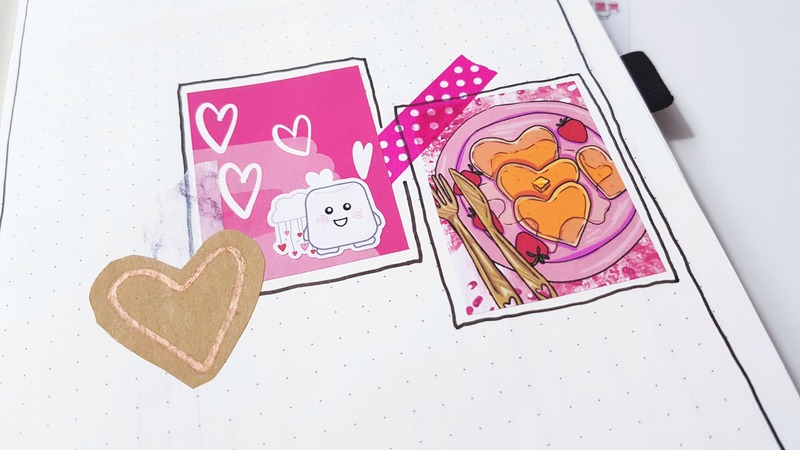 I enjoy looking at a notebook full of colour, doodles, stickers (mainly my Mellie the Marshmallow character stickers, that you can buy here) and washi tape but that is not essential for this organisational tool. 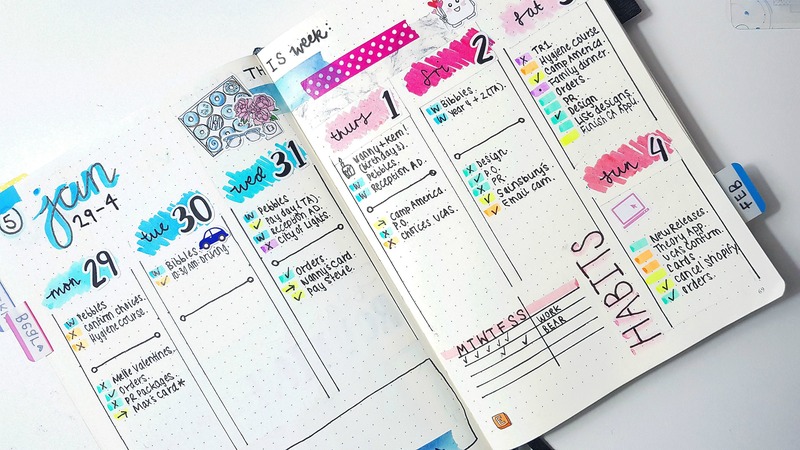 Most people who bullet journal will recommend that you set-up the key first. However, I’d say leave this until later when you have a good idea of exactly the kinds of events/tasks/notes (etc) that you want to document. In my bullet journal, I decided to attach my key to the inside front cover of my notebook on a journaling card. This means it can be altered whenever needed and is never completely set in stone as my planning needs change over time. 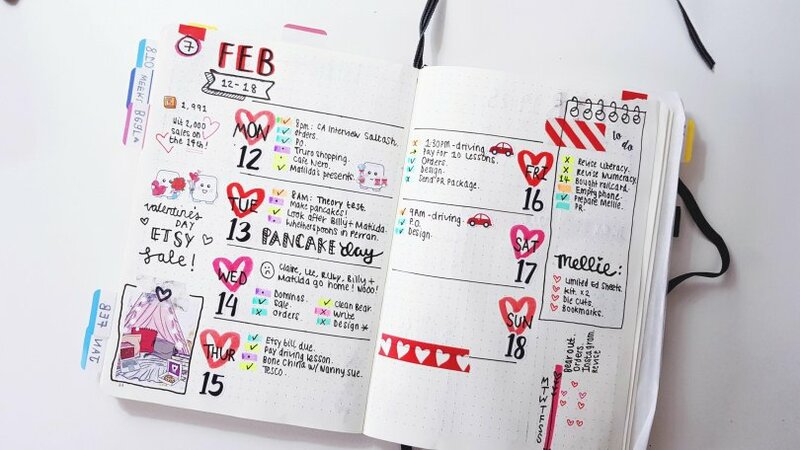 From experience, colour coding makes staying organised easy. You are able to locate tasks, events and important things to remember clearly. I use a highlighter system of 6-7 different colours. A future log/yearly calendar is absolutely necessary for planning ahead within a simple bullet journal system. 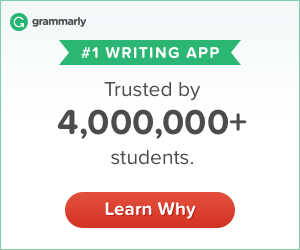 Mine is spread out over four A5 pages. I have three months per page with a mini calendar the top of each column and then room for notes, future appointments, events, holidays, etc. It is simple to use and easy to view. A future log can be as simple or as decorated as you’d like it to be. 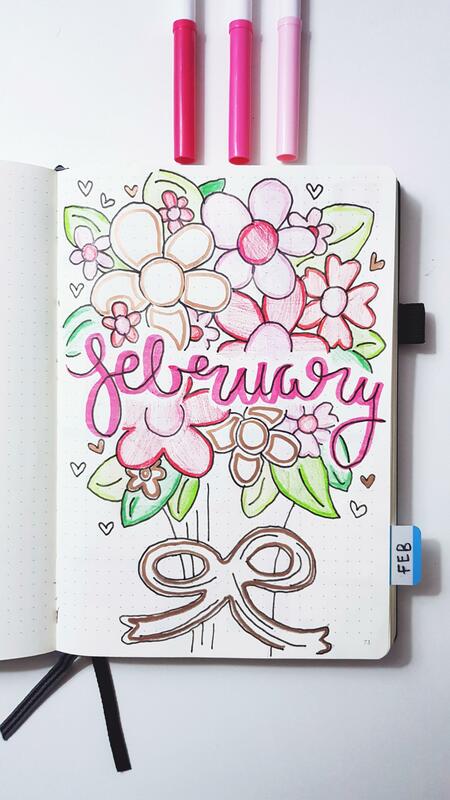 I like to theme each of my months and my future log is a small introductory nod to that thinking! You need to set-up your future log in an easily accessible place within your journal. I’d recommend either near the very front or back and use a tab sticker to mark it. 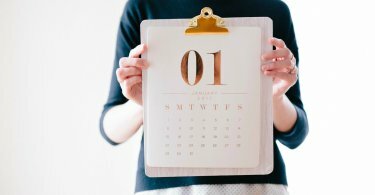 Monthly calendars follow suit with traditional planners or organisers. 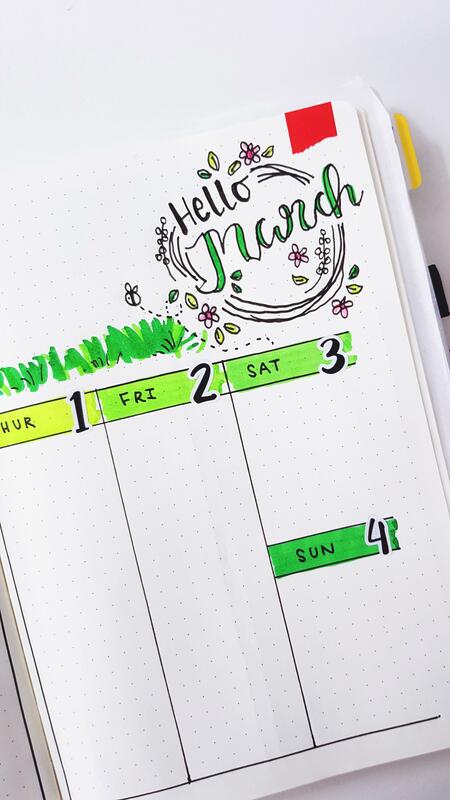 They make scheduling in important dates throughout the month easy as well as allowing for an illustrated holistic picture of the month. Similar to the future log, a monthly calendar can make viewing the months as whole much easier. It allows you to plan for the future and beyond the current week. Top tip: each of my calendar day slots are 3cmx3cm and the grid is 7×5 boxes wide/tall in case you were wondering. If you are anything like me, then you LOVE making lists. Prior to using a simple bullet journal format, I’d leave post-it notes absolutely everywhere. 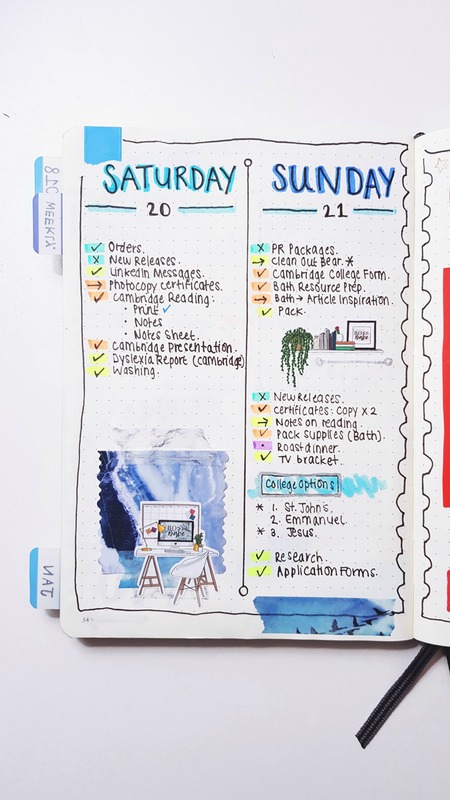 Aside from your weekly views (that are coming up in the next section), you can also make large to-do lists when necessary on their own separate pages. I use this method when I have a lot to do that doesn’t fit into my normal weekly set-up. These could also be considered ‘daily’ pages. 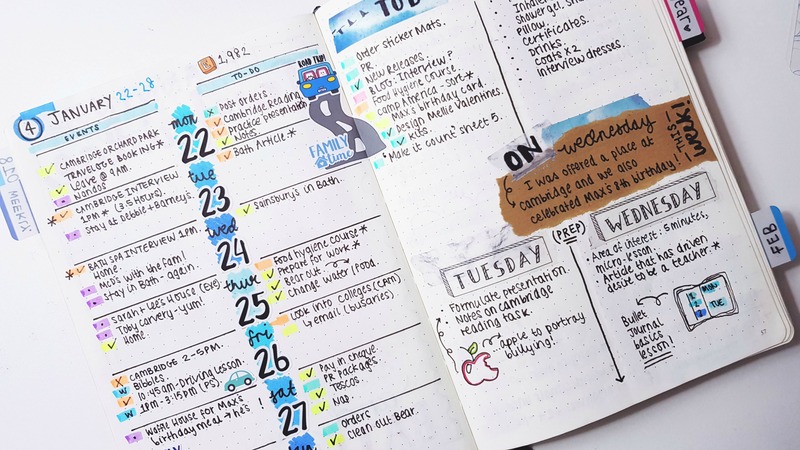 A simple bullet journal can also contain grocery lists, packing lists or cleaning lists for example. 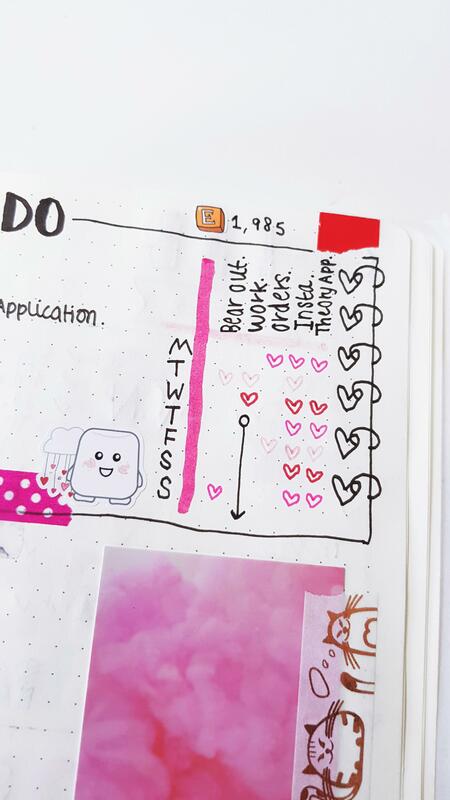 The bullet journal list world is honestly endless! If you need to remember something then just jot it down for when you require the reminder, etc. 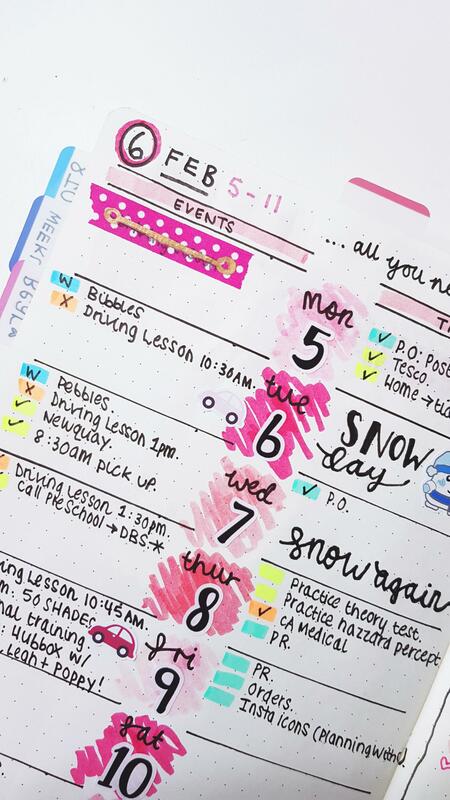 Weekly pages are where bullet journaling comes into a life of its own. 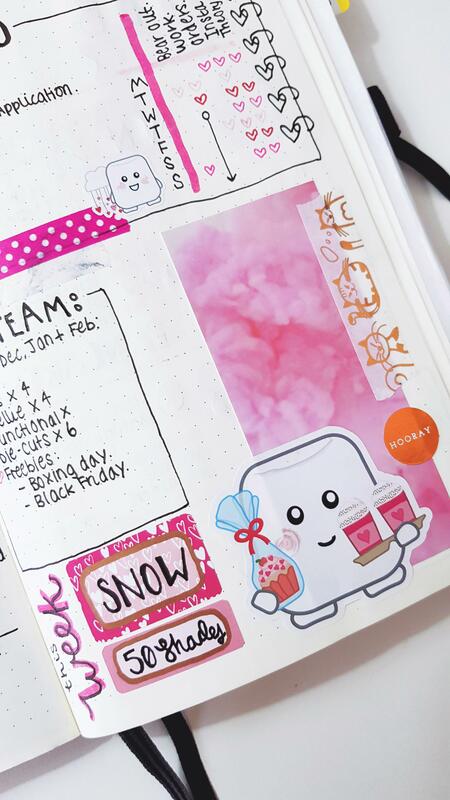 They can be simple and minimalistic or detailed with tons of doodles, stickers and washi tape. The choice is yours. You might even want to try multiple layouts to know what works best for you; I like to modify mine week-upon-week. Below you’ll find photos of my most recent weekly spreads. 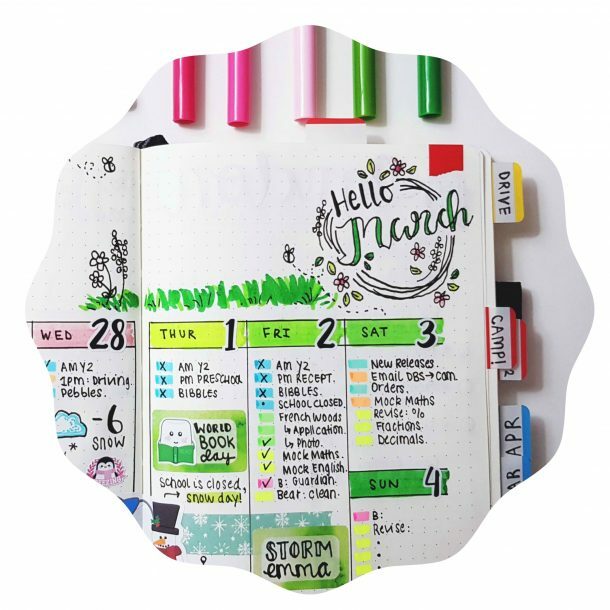 However, these are entirely customisable to your needs when it comes to planning out your week. For example, you might what to document habits, meals, exercise plans, appointments only, schedules, to-do lists, quotes or memories. The possibilites are endless! 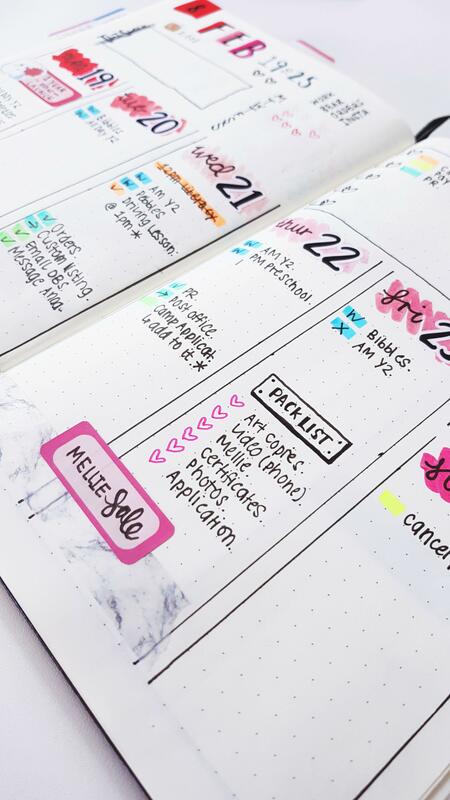 Hopefully, you are now on your way to creating a successful, useful and well-organised simple bullet journal. For more inspiration, please head on over to my planning-stationery dedicated instagram: @PlanningWithC. Get in contact with me here! Wow. this is beautiful and organized. Your handwriting is very neat. This is truly amazing! Thanks! I find a lot of satisfaction through being organised and I spent hours working on my handwriting! Wow! This certainly looks beautiful! What a great way to journal.